-- I am in love with dance, in essence this is why i teach. I trust it, i believe in it, i see its power to heal, to bring joy and build community among children, youth and adults. I desire to learn so i can help others learn, so that dance can be passed on and claimed by those that most need it but can least access it. I hold myself to high standards as this art form needs all of us teachers to be dedicated, ethical, innovative, to listen and to always know to go back to the roots. ​Recognized for her sincere dedication to learning and teaching, Marta offers weekly classes, workshops and private sessions in Washington, DC. Marta approaches teaching from a holistic perspective, emphasizing technique, stylization, and musical interpretation while helping students understand how each movement initiates, feels and flows through their individual bodies. With a clear historical and cultural foundation she invites more advanced students to fuse their own creativity, where appropriate, allowing for the exploration of each dancer's unique voice. Through her own independent studies and her certified doula/labor assistant work (ALACE & The Farm Midwives), Marta brings knowledge of women's health into her teaching; currently finishing a curriculum that incorporates childbirth education and dance for mothers-to-be. 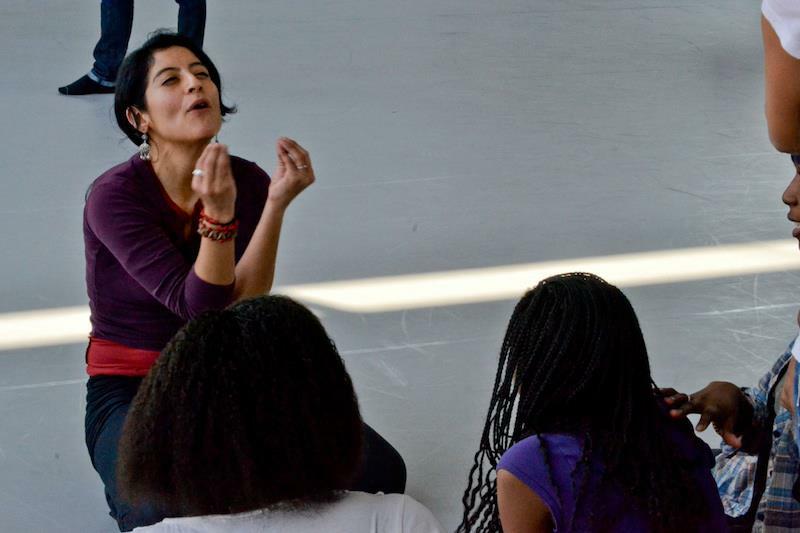 Lastly, Marta is committed to using dance and other forms of creative movement in her work with marginalized communities (in the U.S., and Latin America) to support engagement, healing, leadership, community building and skills development among women, teens and girls. 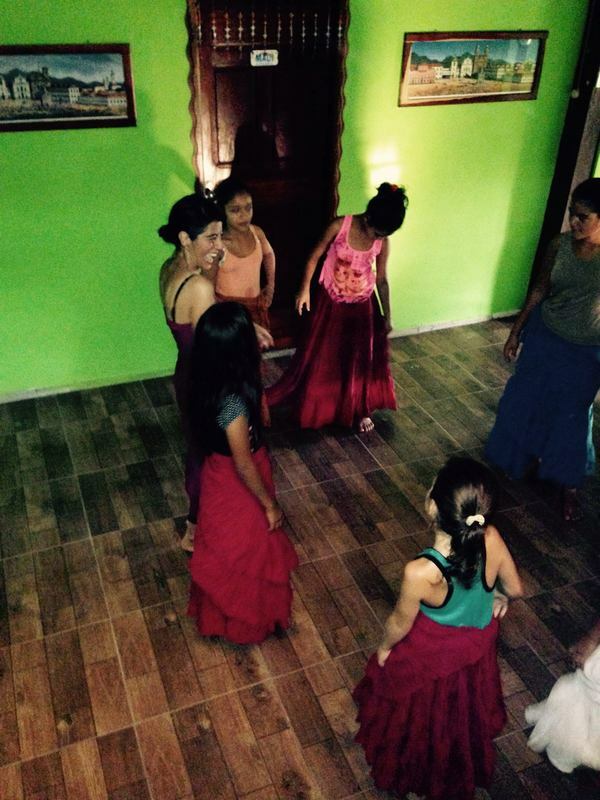 She has volunteered for over 4 years at BloomBars and the Sitar Center for the Arts, and has completed various community based arts, movement and empowerment projects including month-long dance projects in Lima, Peru, the Brazilian Amazon, and Puerto Rico. She continues to provide special workshops and classes throughout the U.S., Latin America and the Caribbean. Marta has been a faculty member at award-winning institutions including Joy of Motion Dance Center (JOM), the Dance Institute of Washington (DIW), Sahara Dance (founding instructor), and the MamaSita Cultural Center. She currently conducts classes at her private dance studio, BloomBars, DC Public Schools, and community centers throughout the DC region. “Marta brings passion, tremendous talent, an incredible wealth of knowledge and understanding, and a caring, nurturing attitude to her classes. She is very effective at pushing her students’ technique and body awareness—just a few classes and her beginner students have true grace. That is one wonderful thing: Marta makes the dance accessible to all, and teaches her students how to make each move—simple or complex—her “own.” She constantly presses us to better understand ourselves, our communities, art, and how we do and would like to relate to them all—and she recognizes and respects that everyone must find her unique balance. Marta is a gorgeous, powerful dancer, but she tirelessly strives to better herself. In the years that I have known her I have really stood in awe of her growth. She has been and continues to be a great, central, catalytic inspiration to me. I can’t imagine where I’d be without her. Really I think Marta is the region’s best kept secret.” -R.B. “I studied dance with Marta for two years and I have to say be prepared to be inspired, challenged and fall deeper in love with this beautiful art form! Marta’s talent, passion, and dedication truly embraced me. Her strive for impeccable technique and powerful articulation challenged me to refine and deepen my movement and expression in a way that worked for me and my body type. Her range of experience in various styles of dance (flamenco, Near Eastern, classical Persian, North African, and Latin American) allowed me to expand my vocabulary and experience new forms of expression. These classes definitely stretched me and helped me build a much more solid foundation. I look forward to dancing with her again in the future!” -S.M. “I think I may actually be Martita's #1 fan! Not only is her technique, knowledge-base, experience and enormous respect and admiration to this dance form inspiring and impressive, Marta also has this ability to create an environment where each woman can 'just be' and let go, laugh, learn and feel absolutely beautiful. As a dancer, colleague and dear friend of Marta, I highly recommend her classes to beginners through advanced level dancers. I especially recommend her class to those women who feel a bit shy about wiggling their hips and 'shimmying' it up. Marta's sensitive and nurturing spirit will bring you out of your shell in no time!” -H.M.